JOHAN (3441) rebound @ MA20 support level. 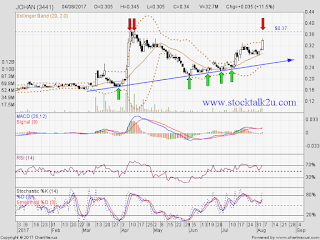 Will it retest uptrend resistance level, RM0.37 ? Stochastic %K pn BUY call itinerary. Immediate resistance @ RM0.37 level. 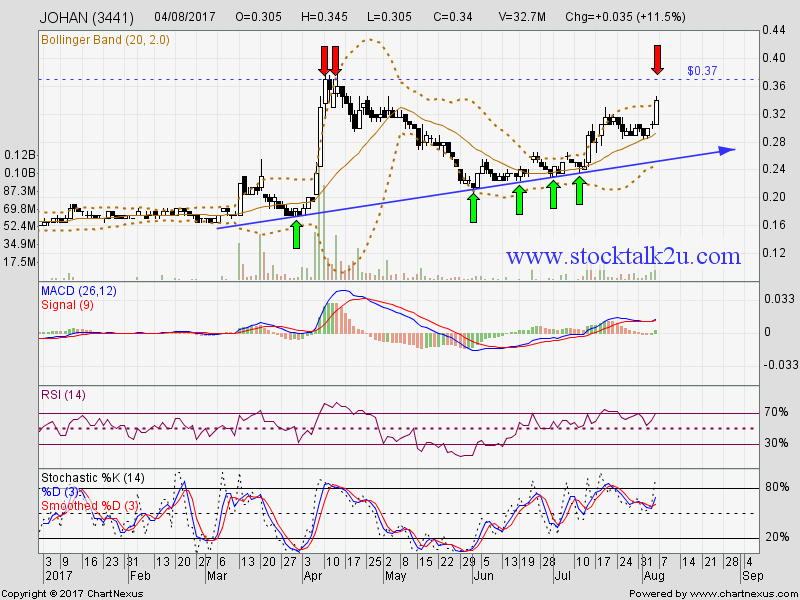 If able breakout RM0,37 level, higher high is confirm. Uptrend will resume.